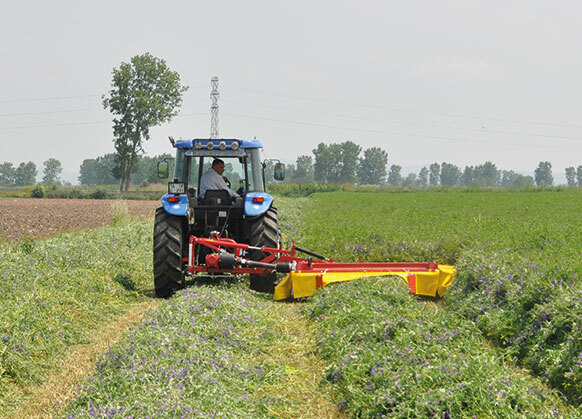 DISC MOWER 5 DISCS WITH CONDITIONER » Fimaks Makina A.S.
Fimaks disc mowers are prefered to cut alfaalfa, clover and similar grasses. There are different models with 5, 6, 7 and 8 discs. 5 and 6 disc machines are mounted type models. 7 and 8 disc machines are trailed type models. Conditioner is optional with mounted models and standard with trailed models. Drum mowers rotation movement is harmful for the root of the crops. 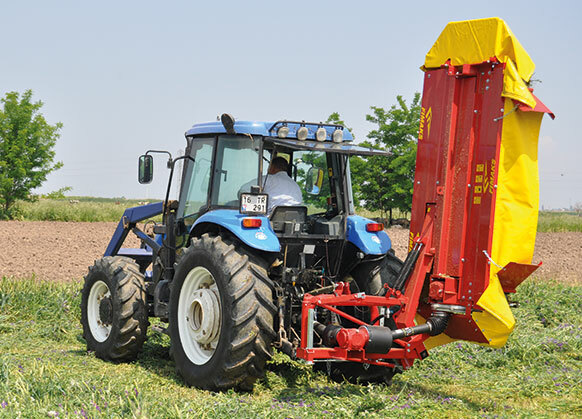 Disc mowers do not harm the crops as drum mowers. In the disc mowers there are oval discs located on the cutter-bar and these discs rotate with 3000 rpm. This rotation creates an air turbulence which uprights the leaned grass. Fimaks disc mowers have a safety mechanism against hitting a hard object. In case of a hit, disc mowers make a move backwards to decrease damage to minimum. Conditioner on the disc mowers brakes the crops (without cutting). Broken crops gets dry faster without losing any nutritive value. 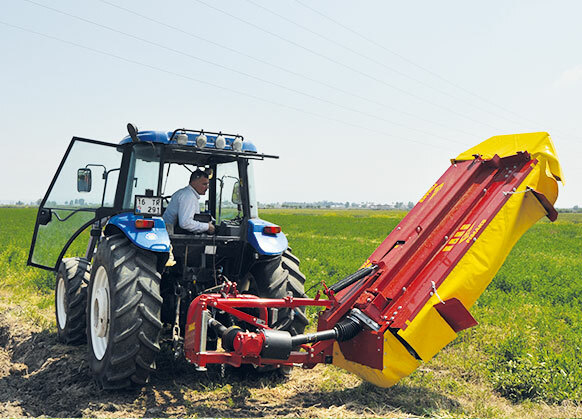 Machine can be lifted hydraulically to road position.